"Those in the pension business need to get used to it. They need to adapt to it." Since the 2008 global financial crisis, pension funds around the world have had to contend with market uncertainty, feeble growth and record-low interest rates. 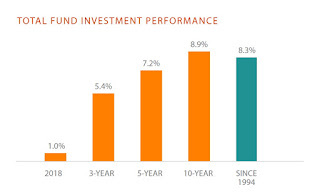 Pension funds use long-term interest rates to calculate their liabilities. The lower the rates, the more money plans need to have to ensure they will be able to pay future benefits. A December report by the Organization for Economic Co-operation and Development said the conditions have "cast doubts on the ability of defined-contribution systems and annuity schemes to deliver adequate pensions." To cushion the Canadian economy from the shock of lower commodity prices, Poloz lowered the central bank's key rate twice last year to 0.5 per cent — just above its historic low of 0.25. Poloz linked the higher neutral interest rates of the past to the baby boom, which he described as a 50-year period of higher labour-force participation and better growth. "Well, that's behind us," Poloz told the meeting of the Investment Industry Association of Canada and the Securities Industry and Financial Markets Association. 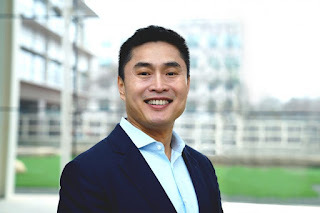 "We don't have numbers for all this, but you need to be scenario-testing those pension plans and the needs of your clients because the returns simply won't be there." But with all the unpredictability Poloz said it remains possible current headwinds could convert into positive forces that would push interest rates back to "more-normal levels" seen prior to the crisis. Earlier Tuesday, Poloz's speech touched on another aspect of the post-crisis world. He told the crowd they shouldn't expect to see a return of the "rapid pace of trade growth" the world saw for the two decades before the crisis. Poloz was optimistic, however, that the "striking weakness" in international trade wasn't a sign of a looming global recession. He said the renewed slowdown in global exports is more likely a result of the fact that big opportunities to boost global trade have already been largely exploited. As an example, he noted China could only join the World Trade Organization once. Poloz expressed confidence that most of the trade slump will be reversed as the global economy recovers — even if it's a slow process. "The weakness in trade we've seen is not a warning of an impending recession," said Poloz, a former president and CEO of Export Development Canada. "Rather, I see it as a sign that trade has reached a new balance point in the global economy — and one that we have the ability to nudge forward." He said there's still room to boost global trade through efficiency improvements to international supply chains, the signing of major treaties such as the Trans-Pacific Partnership and the creation of brand new companies. Poloz's speech came a day after Export Development Canada downgraded its outlook for the growth of exports. EDC chief economist Peter Hall predicted overall Canadian exports of goods and services to expand two per cent in 2016, down from a projection last fall of seven per cent. Well, if President Trump takes over after President Obama, you can expect more protectionism and trade wars, which isn't good for global trade. But Bank of Canada Governor Stephen Poloz is absolutely right, pensions need to brace for a new normal of lower neutral interest rates. I've long warned my readers that ultra low rates are here to stay and if global deflation sets in, the new negative normal will rule the day. Thus far, Canada has managed to escape negative rates but this is mostly due to the rebound in oil prices. If, as some claim, oil doubles by year-end, you can expect the loonie to appreciate and the Bank of Canada might even hike rates (highly doubt it). On the other hand, if the Great Crash of 2016 materializes, oil will sink to new lows and the Bank of Canada will be forced to go negative. Interestingly, on Wednesday, the Australian dollar plunged almost 2 per cent after a lower-than-expected inflation print and deflation fears put a rate cut back on the agenda for next week's Reserve Bank meeting. Keep an eye on the Aussie as it might portend the future of commodity prices, deflation and what will happen to the loonie. You should also read Ted Carmichael's latest, Why Does the Bank of Canada Now Believe that Fiscal Stimulus Works?. I agree with him, all this talk of fiscal stimulus is way overblown and in my opinion, it's a smokescreen for what really lies behind the Bank of Canada's monetary policy: it's all about oil prices. And like it or not, the loonie is a petro currency, period. The rise in oil prices alleviates the terms of trade shock and if it continues, the Bank of Canada won't need to cut rates this year. It's that simple, no need to torture yourself trying to figure out the Bank of Canada's monetary policy, it's all about oil, not fiscal policy. The Fed is expected to do a cautious dance when it releases its statement Wednesday, as it leaves the door open for a rate hike in June but is not signaling one. After two days of meetings, the Fed will release a 2 p.m. statement Wednesday. The statement is not expected to be much changed from its last one, but Fed watchers say the nuances will be important. There is no press conference where Fed chair Janet Yellen can provide further clarification, so markets will have only the statement to respond to. The Fed is expected to be dovish in its statement, but the bond market clearly has been fearing it will be a bit more hawkish, and yields have been rising. Market expectations are for the next rate hike to come early next year, but the Fed has said it expects two rate hikes before then, so there is tension around any statement it would make. "I don't think they're going to tip their hand on the policy section of it. I think the hawkishness might come in their description of the economy, because credit spreads have come back and are no longer a worry. The stock market is no longer down 10 percent on the year. Even the G-20 was less concerned about the economic outlook for the world," said Chris Rupkey, chief financial economist at MUFG Union Bank. But the U.S. economic data has been spotty, with more than a few misses recently. Durable goods was weaker than expected Tuesday, and first quarter GDP, expected Thursday, is predicted to be just barely positive. Fed officials have also been sending mixed messages about rate hikes. For instance, Boston Fed President Eric Rosengren, viewed as a dove, has said the markets have it wrong and are not pricing in enough rate hikes. "The problem is you've got disagreement. The gap has widened," said Diane Swonk, CEO of DS Economics. "You've got dissents. When you have dissents, you have volatility." Cleveland Federal Reserve President Loretta Mester is expected to join Kansas City Fed President Esther George in dissenting Wednesday, as they object to the Fed's lack of rate hikes. "I don't think they can put the balance of risk back in, because they can't agree what the balance of risks are," said Swonk. "It just means continued uncertainty, continued uncertainty for the market." Michael Arone, chief investment strategist at State Street Global Advisors, also said the Fed is unlikely to suggest that risks are balanced. "If they tell you it's nearly balancing, that'll be a signal that June is on the table," said Arone, adding he does not expect to see that. Arone said the Fed will want to leave options open. "I don't think this Fed, and Yellen in particular, likes to paint themselves into a corner," said Arone. "The statement will acknowledge that growth in the economy is modest. They haven't seen the flow through to inflation and they'll remain data dependent going forward." He said he will be watching to see if Yellen's view is dominant in the statement. "My view is what Yellen did with her Economic Club of New York speech (March 29), she was saying: 'I'm the chairperson. This is my view. We're going to go slow and gradual.' At the time, other Fed officials were talking about how April was still on the table," Arone said. "I think what markets are going to be looking to see is if that remains the message or if we're back in this kind of limbo." It will also be important to see if the Fed gives any nod to stability in international markets now that China has calmed some of the fears around its economy. Besides the Fed, there is the trade deficit data at 8:30 a.m. EDT and pending home sales at 10 a.m. EDT. There is a 10:30 a.m. EDT government inventory data on oil and gasoline, and the Treasury auctions seven-year notes at 1 p.m. auction. Earnings before the bell include Boeing, Comcast, GlaxoSmithKline, Mondelez, United Technologies, Anthem, Northrop Grumman, Dr Pepper Snapple, Nasdaq OMX, Nintendo, State Street, Tegna, Garmin, Six Flags and General Dynamics. After the bell, reports are expected from Facebook, PayPal, Marriott, SanDisk, Cheesecake Factory, La Quinta, Rent-A-Center, First Solar, Texas Instruments and Vertex Pharmaceuticals. The only earnings that matter on Wednesday are those of Apple (AAPL). Its shares are down 7% at this writing as it feels the pain of the end of iPhone 6 cycle (they better come up with a great marketing campaign for iPhone 7 to bring the stock back over $120 this fall). As far as the Fed, I don't expect any major surprises today but who knows how markets react if the statement turns out to be more hawkish than expected. More interestingly, Jeffrey Gundlach, the reigning bond king, visited Toronto recently and spoke with Financial Post reporter Jonathan Ratner. Here is an edited version of their discussion which you all MUST read as Gundlach talks about why debt deflation is a real threat, why the Fed capitulated in March and why negative rates are 'horror' (read this interview carefully). Lately, Gundlach has been legging into Treasuries which shows you he's not worried about any rout in the bond market. So, if low rates are here to stay, how are pensions going to adapt? More hedge funds? Good luck with that strategy. 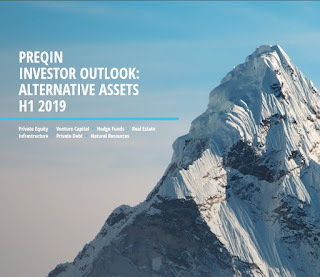 More private equity, real estate and infrastructure? This seems to be the reigning strategy but pensions have to be careful taking on illiquidity risk, especially if global deflation sets in. 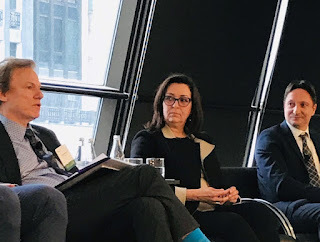 And when it comes to private equity funds, they have to monitor fees and performance carefully and also realize real estate has its own set of challenges in this environment. This is why in Canada, large public pensions are gearing up to bankroll domestic infrastructure, ignoring critics calling this the great Canadian pension heist. 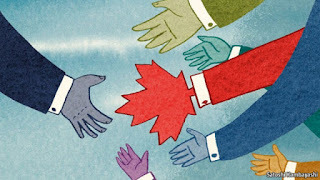 By investing directly in mature and greenfield infrastructure, Canada's large public pensions can put a lot of money to work in assets that offer stable, predictable long-term cash flows, essentially better matching assets with their long dated liabilities without paying huge fees to private equity funds and without taking currency or regulatory risks (still taking on huge illiquidity risk but they have a long horizon to do this). 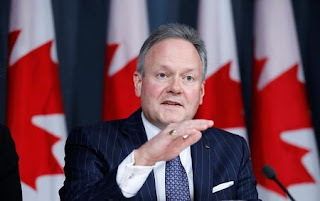 Below, listen to the speech Bank of Canada Governor Stephen Poloz gave on Tuesday at the Investment Industry Association of Canada and Securities Industry and Financial Markets Association in New York. I worked with Steve at BCA Research years ago and think very highly of him. Take the time to listen to this speech and the Q&A where he discusses what lower neutral rates mean for pensions. Also, CNBC contributor Richard Fisher, Harvard University Economics Professor Martin Feldstein and CNBC's Steve Liesman look ahead to Wednesday's Fed meeting. A very interesting discussion (too bad CNBC didn't post all of it) where Fisher and Feldstein claim inflation pressures are picking up as service sector inflation keeps rising and this could spell trouble ahead. Too bad the bond market doesn't agree with either of them. Lastly, Columbia University Professor of Economics and Nobel Laureate Joseph Stiglitz discusses the problem of extreme income inequality in the United States and the negative economic impact of monetary policy. He speaks on "Bloomberg Surveillance." Like I said, I don't pity hedge fund managers but I do pity millions who will retire in pension poverty, unable to cope with the new normal of lower rates. Pensions and savers better prepare for lower returns ahead.